Nemea is an ancient site in the northeastern part of the Peloponnese, in Greece. 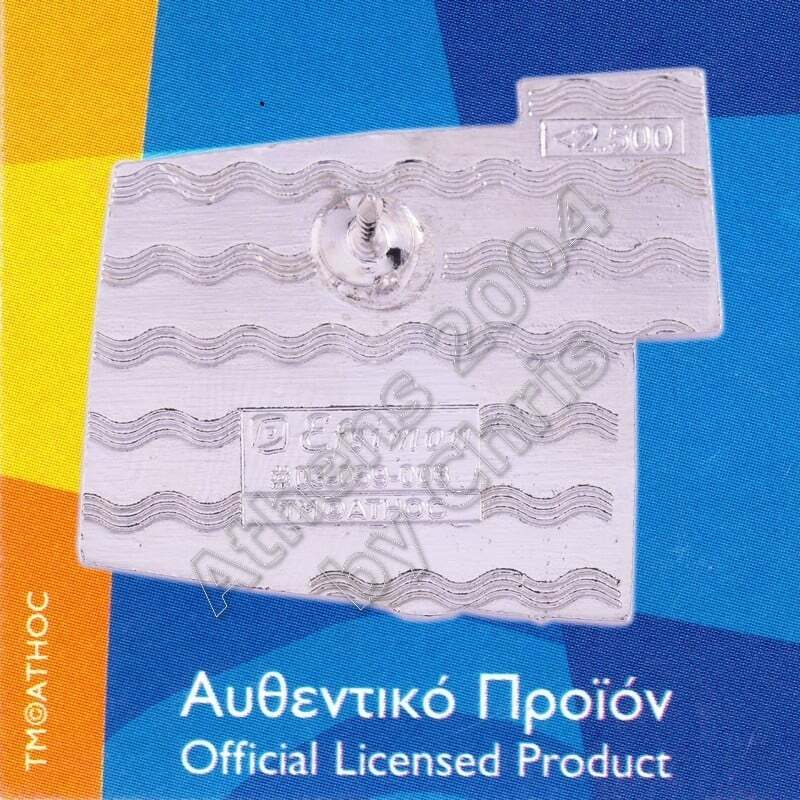 Formerly part of the territory ofCleonae in Argolis, it is today situated in the regional unit of Corinthia. 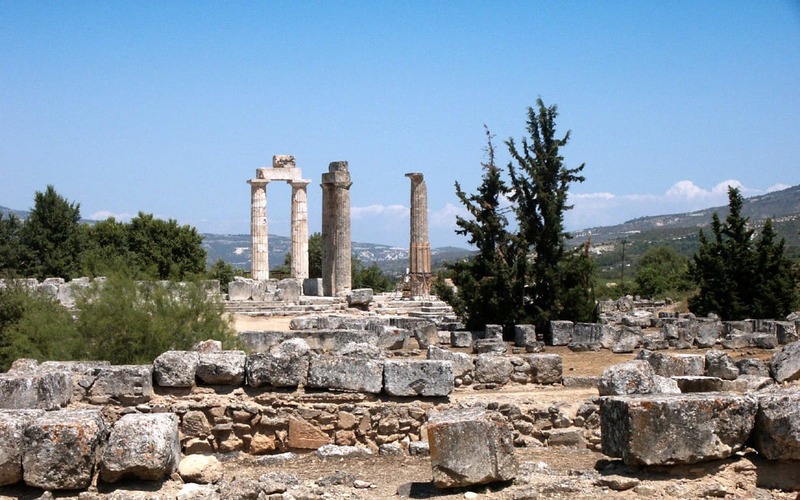 The small village of Archaia Nemea is immediately southwest of the archaeological site, while the new town of Nemea lies to the west. 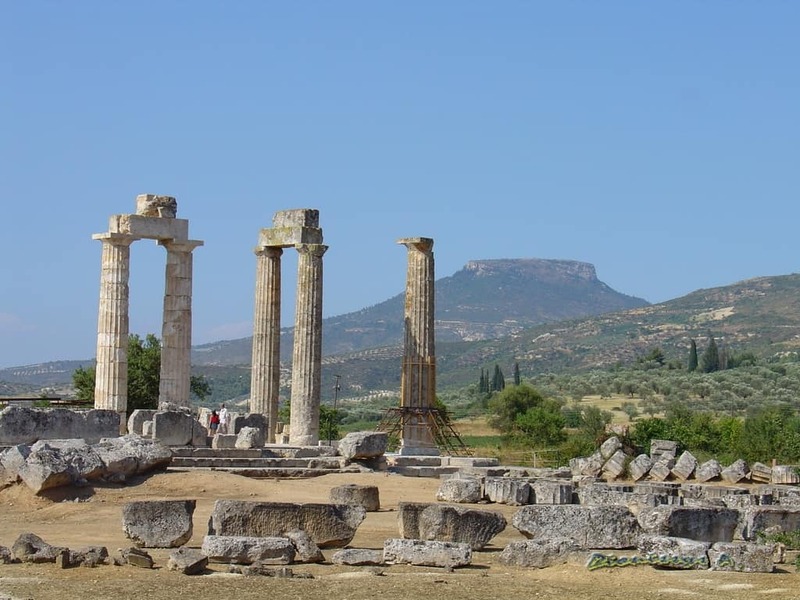 Three of the columns of the Temple of Zeus have never fallen down since they were originally erected.Architectural remains at the site are dominated by the impressive Temple of Zeus constructed c. 330 BCE. This was built on the site of an earlier temple from the 6th century BC which was destroyed by fire and from which blocks were used to construct the foundations of its replacement. 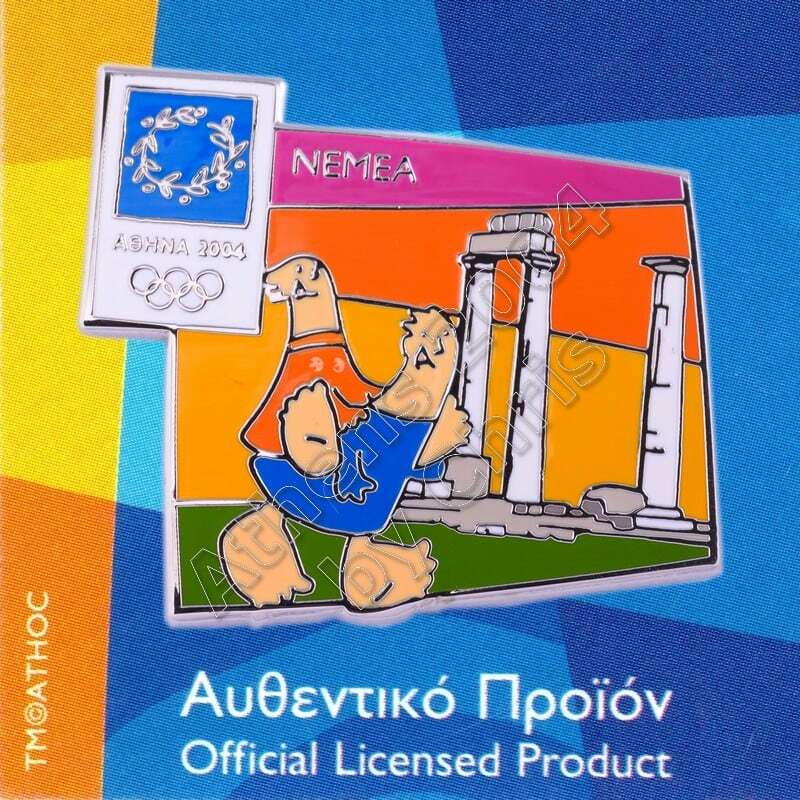 The pin depicts mascots Phevos and Athena in ancient Temple of Zeus in Nemea Town.